A team of researchers using DNA analysis has determined a group of decapitated, animal-bitten, injured men from Roman-era Britain were mostly of European origin, but one was from the Middle East, says a new study in the journal Nature Communications . Researchers have said in the past the men, all under age 45, were possibly gladiators, but they’re not sure of that. 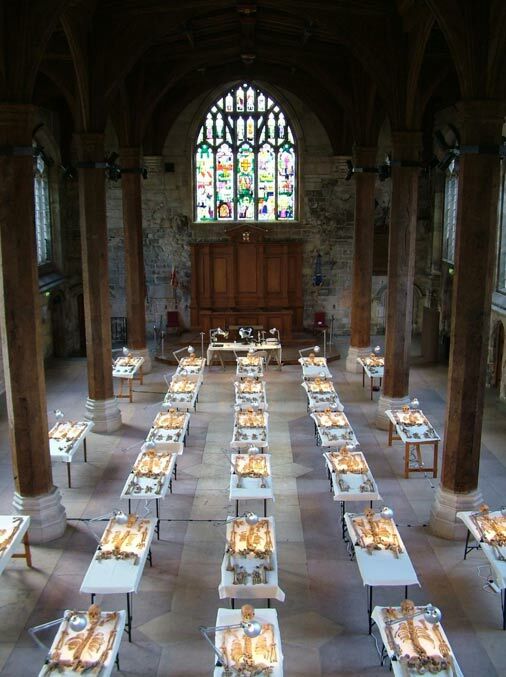 The skeletons of more than 80 men were discovered in Driffield Terrace, York, in 2004 and excavated through 2005. York was known as Eboracum in Roman times. In 2015, a large team of archaeologists, genetic researchers and doctors - led by geneticist Rui Martiniano of Trinity College in Dublin, examined the DNA of seven of the skeletons buried there and compared the DNA to two other typical British specimens. They published their paper in Nature Communications this week. Most of the 80 or so skeletons had evidence of decapitation, and their heads were positioned variously on their chest, between their legs, or at their feet. All but one, likely a blond with blue eyes, had brown or black hair and brown eyes, the analysis showed. An article about the study at York Archaeology says the men’s characteristics resemble remains in an apparent Roman burial ground for gladiators at Ephesus in Turkey. However, these men from the York cemetery were taller than average in Roman Britain, and the Roman army had a height requirement. That, plus their relatively young age, could mean they were soldiers. They also had marks on their bones of interpersonal violence, which could be from either gladiatorial contests or battle. The bite marks were one reason researchers had suggested previously that the men were gladiators. “The poor childhood health of the men suggests they were from disadvantaged households, though their robust skeletons and healed traumas indicate that they were used to wielding weapons,” says a University of York press release . Trace chemicals in their bones and teeth revealed that some of the men lived outside Britain early in their lives. But most had genomes similar to an Iron Age woman from Melton in East Yorkshire whose DNA the team compared them to. 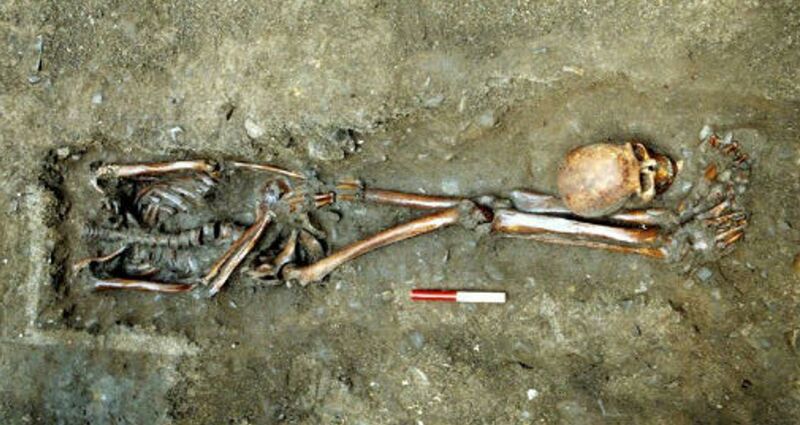 The team also analyzed the remains of a man from a Christian Anglo-Saxon cemetery in Norton, Teesside, England. That man’s genes were more closely related to modern East Anglia and Dutch people, which highlights the impact of later migrations upon the genetic makeup of people who lived in Britain during the Roman era. “Six of the Roman genomes show affinity with modern British Celtic populations, particularly Welsh, but significantly diverge from populations from Yorkshire and other eastern English samples,” the authors wrote in Nature Communications. The seventh man was likely from Palestine, Jordan, or Syria. Thus, the York skeletons have begun to tell their tales, but they continue to keep some secrets.